As the Bay Area’s prime home buying season begins, a wide array of market forces is making this spring one of the toughest times in memory to purchase a home. Fiercely competitive investors and cash buyers continue to compete against average buyers for a scarcity of homes for sale, bidding wars continue to run up prices, and problematic appraisals are further complicating transactions. Many homes that would be purchased in a normal market by average buyers are ending up in the hands of cash-paying absentee owners, typically investors. 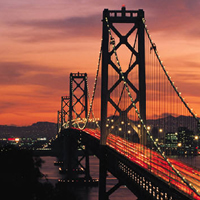 Despite the continued surge in the San Francisco Bay Area Real Estate market (for the 3rd straight year), there is at least one positive trend for Buyers. Peninsula and South Bay Residential Real Estate Inventory rose 6% in March. This is the 3 straight month that inventory has risen, totaling a cumulative 36% rise in inventory since the beginning of the year. Sales continue to be hot, but the pace of listings coming on the market has more than “doubled” since the end of 2012. February distressed property sales – the combination of foreclosure resales and “short sales” – made up about 35% of the resale market. That was down from 36% in January and down from 53.4% a year ago. 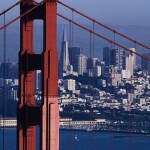 Short sales made up an estimated 21.4% of San Francisco Bay Area resales last month. That was down from an estimated 21.9% in January and down from 27% a year earlier. February’s absentee buyers (mostly investors) purchased 28.2% of all San Francisco Bay Area homes, a statistical all-time high (absentee statistics go back to January 2000). Buyers who appear to have paid all cash accounted for a record 31.9% of sales in February. That was up from 28.4% the month before and 31.5% a year earlier. The monthly average going back to 1988 is 12.9%. Overall, the median price paid for a home in the 9-county San Francisco Bay Area in February was $405,000. That was up a whopping 24.6% from $325,000 for February a year ago. Things are trending in the right direction for Buyers right now, but inventory is still (relatively) low and stiff competition and continued low interest rates should keep the market hot through this peak period of the 2013 home buying season that we have now entered. For the 2nd straight month, Bay Area housing inventory increased (for the month of February). January saw a slight (~10%) increase in inventory, while February saw another ~20% increase above January. This brings our inventory level back up to where it was around the middle of November of last year (before it had proceeded to drop to it’s lowest level in recorded history by the end of 2012). This should come as a relief to the many buyers who have been experiencing the full force of a Bay Area seller’s market with demand far exceeding supply. Meanwhile, the Bay Area housing market turnaround trend continued its torrid pace with the strongest January sales in 6 years and the 10th straight year-over-year increase in the median sale price (adding up to a 27.3% year-over-year gain for the Bay Area as a whole). While some read recent home price gains as a sign of an improving market, others warn that the recent gains are “unsustainable” and may actually be dampening market recovery. Radar Logic (a housing research and analytics company) attributes recent home price gains to anomalous factors that it considers temporary, including low interest rates and elevated investor demand. None of these drivers are likely to last, particularly as housing prices increase They anticipate that prices will decline again as rising prices begin to repel investors while simultaneously leading to bursts in supply as homeowners and financial institutions feel encouraged to list properties for sale. Home builders have already begun to add to supply with a 23.6% rise in single-family housing starts year-over-year in January. However, when prices start to decline again, the market may once again attract speculative demand and chill starts and sales. Prices could follow such a saw-tooth pattern for a number of years. A true recovery in home prices is contingent on rising employment and a return of consumer confidence, neither of which are much evident at the moment. The median price paid for a home in the 9-county Bay Area was $415,000 in January. That was down 6.3% from $442,750 in December, but “up” 27.3% from $326,000 in January a year ago. The median reached a high of $665,000 in June/July 2007 and then fell to a low of $290,000 in March 2009. On a year-over-year basis, the median dropped more than 30% each month from August 2008 through May 2009. At the median’s current rate of increase, it will recover about half of its peak-to-trough loss sometime this spring. In the mean time, the recent upward trend in inventory should relieve “some” the upward pressure on home prices and start to make it easier for Bay Area home buyers in the coming months. While the rest of the country’s real estate markets are starting to see the light of day, the San Francisco Bay Area housing market continues to sizzle. San Francisco Bay Area housing inventory is continuing to plummet, all the way down now to a 10-Yr low, with no end in sight! A total of 7,795 new and resale homes were sold in the nine-county San Francisco Bay Area last month. That was up 13.8% from 6,850 in September, and up 21% from 6,444 for October 2011. This was an18.9% increase from $350,000 in October/2011. The median’s low point of the current real estate cycle was $290,000 in March 2009. The peak was $665,000 in June/July 2007. The San Francisco Bay Area housing market is still regaining some of the ground it lost after 2007. It’s unclear exactly much of today’s apparent price increase reflects actual growth and how much reflects a change in market characteristics (the balance of the sales mix between high end and low end sales). The two factors obviously play into each other. Supply is limited. We’re definitely seeing less distress and foreclosure activity, and more mid- to up-market sales. Distress Sales (Foreclosures and Short Sales) continue a rapid decline. Foreclosure resales accounted for just 12% of resales in October, down from a revised 14.1% in September, and WAY down from 25.3% a year ago. October’s figure was the lowest since foreclosure resales were 10.1% in November 2007. Foreclosure resales peaked at 52% in February 2009. The monthly average for foreclosure resales over the past 17 years is about 10% Short sales made up an estimated 21.4% of San Francisco Bay Area resales in October, which was down from an estimated 23.5% in September and down from 24.9% a year earlier. With high rental prices, housing inventory at a 10-Yr low, and interest rates at an ALL TIME low, there isn’t much to stop another San Francisco Bay Area housing bubble. Most Buyers are willing to pay well more than the current appraised value of a San Francisco Bay Area home. Bidding wars have greatly driven up home sale prices, although appraisal values haven’t yet caught up. Often the appraised value comes in lower than the contracted purchase price and the Seller won’t lower the purchase price accordingly, leaving the buyer to pay the cash difference out of pocket to complete the purchase. Because of the appraisal factor, Sellers are typically choosing Buyers with large down payments over other Buyers who may offer a high purchase price, but are a greater risk of backing out (if the appraisal comes in low). In extreme cases, mostly in the San Francisco Bay Area’s “high end” neighborhoods, strong (high down payment) Buyers have been willing to purchase homes without any loan or appraisal contingency. In the “mediocre” areas and neighborhoods, there are much less of these types of Buyers and the appraisals have been a factor limiting the ultimate sale price a Seller can get. Thus, the value of homes in high end neighborhoods has risen more sharply than other neighborhoods these past 2 years and will continue to do so. The overall rebound in home values should spark a lot more home selling in the coming spring, easing “some” of the pressure currently on San Fracisco Bay Area buyers! The Avg 15-year fixed-rate mortgage was 2.86%, the same as last week. The Avg rate for 30-year jumbo mortgages, or generally for those of more than $417,000, fell by .01 to 4% The Avg 30-Yr Fixed Conforming Loan w/0 Pts is now sitting at 3.25%, while the Avg 30-Yr Fixed High Balance Conforming Loan w/0 Pts is sitting at 3.5%. On Average, rates are only about .05 lower now than they were at the beginning of the month, hardly a noticeable difference. 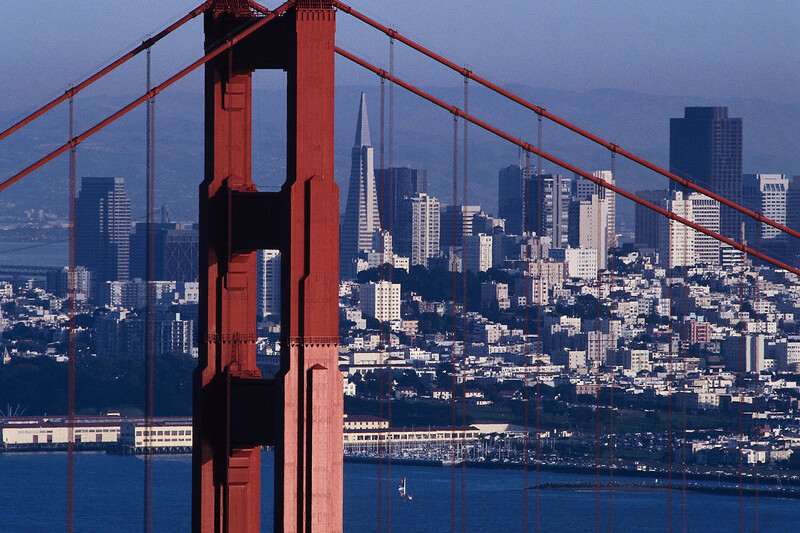 For the past Year or more, the San Francisco Bay Area has seen an 11% spike in rental prices. Many wonder “why” and where we go from here. Bay Area tech firms, including Facebook and Google, have greatly increased staffing. A growing number of potential home “Buyers” have been competing for quickly shrinking inventory. 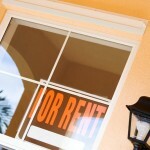 This has forced many people into home “Renting” instead of Buying, thus increasing Rental prices. by the National Low Income Housing Coalition, Bay Area rents are the least affordable in the country. 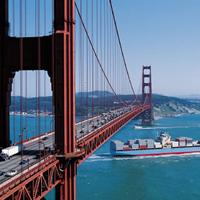 The study found that the most-expensive counties in the US are San Francisco, Marin, and San Mateo. New construction hasn’t kept pace with demand. Since 2008, only about 1,710 units were built each year in San Francisco, compared with an average of 2,220 each year between 2004 and 2008 – and although new construction is on the way, many of the new units will be priced beyond the reach of working- and middle-class residents. The result? Waiting lists, climbing rents, and increased competition for available units. There’s a rental feeding frenzy out there, with desperate applicants willing to bid up the monthly rate and looking for insider tricks to nab a place before it hits the market. As more and more Bay Area Residents (affluent or otherwise) turn to the rental market, the influx of cash and demand could contribute to even higher rents to come. If you’re an SF Bay Area resident or are moving to the Bay Area soon and need affordable housing, there are options out there. For instance, the price of rents in Contra Costa and Alameda Counties have only increased by half as much as San Francisco and San Mateo Counties. For the South Bay, outlying communities like Morgan Hill and Los Gatos Mountains tend to have less rental competition. 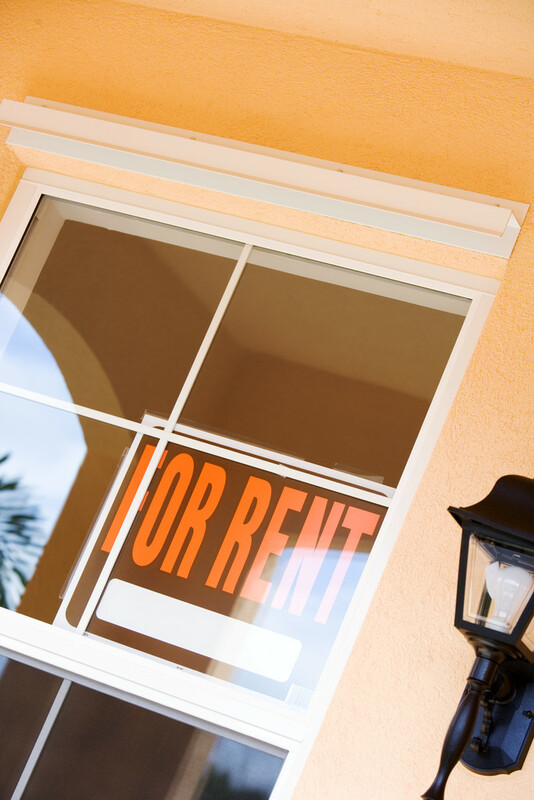 Wherever you decide to rent, it’s important to have a complete set of documentation to support your rental application. The more clearly you demonstrate your financial strength, the better chance you have of getting the place you want. Mortgage Rates increased for the 2nd straight week after having dropped to an all time low at the end of July, with the recent rise in home prices and job market improvement being potential factors. However, we are still at around 3.5% for a 30-Yr Fixed Conforming loan with 0 Pts and 3.75% for a 30-Yr Fixed High Balance Conforming Loan with 0 Pts. Looking at the latest Real Estate trends, July’s Bay Area residential property inventory remained level for the 3rd straight month. However, listings have also outpaced sales for the 3rd straight month, a reversal of an opposite trend for the months that began 2012. This is an indication that inventory might be trending back up, at least a bit, which would provide relief for the glut of Buyers out there right now. The median price paid for a Bay Area home in June jumped to its highest level in almost 4 years, the result of an ongoing shift in the types of homes selling, slightly improved mortgage availability, and record-low mortgage interest rates . The median price paid for all new and resale houses and condos sold in the 9-county Bay Area in June was $417,000. That was up 4.3% from $400,000 in May, and up 10.4% from $377,750 in June 2011. June’s median was the highest since it was $447,000 in August 2008. The median’s low point for the current real estate cycle was $290,000 in March 2009, while the peak was $665,000 in June/July 2007. The continued decline in distress property sales is a large factor in the 2012 Bay Area housing surge. June’s distressed property sales – the combination of foreclosure resales and “short sales” – made up 36.1% of the resale market. That was down from 39% in May and down from 44.3% in June a year ago. Foreclosure resales accounted for 18.1% of resales in June, the first time it’s been under 20% since it was 18.8% in January 2008. Last month’s 18.1% was down from a revised 21.4% in May, and down from 26.1% a year ago. Foreclosure resales peaked at 52% in February 2009. The monthly average for foreclosure resales over the past 17 years is about 10%. For California as a whole, the number of homes entering the formal foreclosure process dropped in the 2nd quarter of this year to its lowest level since early 2007. The decline in distress property sales stems from a number of factors, including an improved housing market and the gradual burning off of the most egregious mortgages originated from 2005 to 2007. Even though the hottest buying season is ending this month, there’s no reason to think that the recent Bay Area Housing surge will stop. Demand will drop off as families settle down with the school year starting, but supply should remain low throughout the rest of this year, keeping it a competitive housing market for the many Buyers who are still trying to take advantage of record low interest rates.